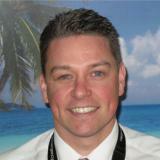 Paul is a progressive technology risk management professional with over 20 years of experience. With a career largely founded in technology risk management and auditing, Paul has spent 17+ years within the financial services industry, with experience across Australia, UK and Asia. Presently an Executive Director at UBS within Compliance & Operational Risk Control (C&ORC) specializing in Technology Risk Control, Paul is driving a multi-year, organization wide innovation program to transform how technology risk is managed and controlled via predictive technology risk models; utilizing the power of machine learning / artificial intelligence and data science.